Property maintenance (otherwise known as Facilities Management) involves a huge range of services. It is the sort of service you hire and individual or property maintenance company to perform when you don’t have time to maintain your property in a professional manner. If you’re a busy commercial property proprietor or landowner, it is an ideal solution to help preserve the condition of your property – particularly if it is a public facility. Whether you run, a large or small company, property maintenance is essential towards its overall protection and upkeep. Property maintenance service providers will go about as caretakers and be fundamentally responsible for fixing any damage, replacing gear, and also replenishing any supplies. The first kind of service falls into the repair section. These happen when something turns out badly as a receptive reaction. For instance, a faulty lightning, a blocked toilet or a roof that abruptly starts leaking. Such repairs are not intended to improve the value of the property; they’re just the absolute minimum required to maintain the property in a satisfactory condition. The second sort is known as planned maintenance (or preventative maintenance). These are items which in a perfect world ought to be regularly checked and maintained to limit the number of emergency repairs. Drain clearing, Boiler Servicing, Electrical testing, painting to prevent cracking and decay, checking the condition of roof tiles, and regular bug control all fall into this category. The next sort is known as investment maintenance. This is the planned replacement of anything in the property that depreciates in worth, including carpets, blinds, appliances, hot water framework, insect screens and so forth. 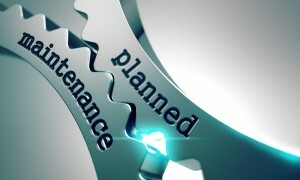 Planned maintenance negates considerably more repairs that would otherwise fall into the first category and provides maximum control over the standard of the property and the cost of maintenance. Lastly are capital works. This is any new component that is introduced into the property. A case may include an appliance, new machinery or air conditioning. This kind of cost is likely to increase the value of the property. These are not maintenance related, rather installations and testing but these additions to the property will need to be added to the planned maintenance plan. Why do you require Professional Property Maintenance Services? Contracting property maintenance services will save you significant time and effort in taking care of everything from general property maintenance to a full, professional facilities management strategy. 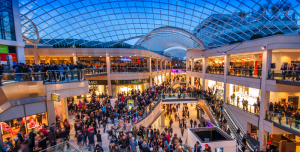 Commercial properties such as offices and shops cannot afford to leave the maintenance of the property to chance and then to try find a professional company in an emergency situation. The condition of the property may also pose a risk to employees and the general public and must be maintained to a high standard. Periods of downtime or property closure will not only lose you money but may harm your company’s reputation too. Beside timesaving, contracting professionals to carry out the job they are trained for is likewise cost-viable. Should you choose to maintain the whole property all alone by hiring separate, specialist employees such as electricians and plumbers, you’ll need to invest in the cost of purchasing all the necessary specialist equipment and tools, which could be considerable. When you decide to use a property maintenance company, you both agree on a fixed monthly, quarterly or annual contract. Besides access to the most recent tools and hardware, by choosing to entrust your property maintenance to known professionals, you’re liberated from the weight of directly overseeing an in-house team and dealing with any work related issues. 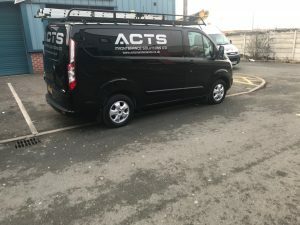 Here at ACT Maintenance, we have teams of dedicated professionals in all areas of commercial property maintenance and property maintenance account managers that help tailor a custom facilities management strategy for your needs.